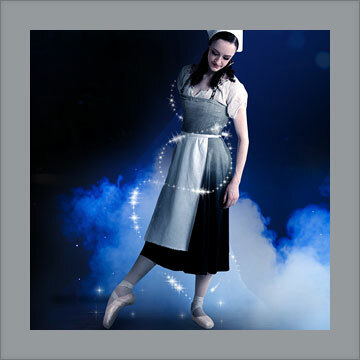 Alberta Ballet is one of Canada's premier dance companies and grounds its artistic vision in a commitment to unparalleled productions that thrill and inspire audiences. Its repertoire spans the full spectrum of ballet genres: from classical to neo-classical to contemporary, and its dancers are renowned for their wide-ranging versatility. Alberta Ballet selects dancers who demonstrate a strong classical foundation and are passionate about working in varied repertoire. This combination sets the troupe apart as one that is uniquely primed for vanguard exploration of artistic expression in dance. The company includes dancers who trained directly with the School of Alberta Ballet as well as talent from around the world. Alberta Ballet collaborates with leading choreographers, such as Aszure Barton, Wen Wei Wang, Emily Molnar, Jiri Kylian, Christopher Wheeldon, Stanton Welch, David Nixon and Ben Stevenson. In 16/17, Artistic Director Jean Grand-Maitre premiered an avant-guarde work, Caelistis, a one-act ballet with an original score by composer Andrew Staniland. Alberta Ballet caught the world's attention with its portrait ballets – collaborations with popular music icons including Joni Mitchell, Sir Elton John, Sarah McLachlan, and k.d. lang. 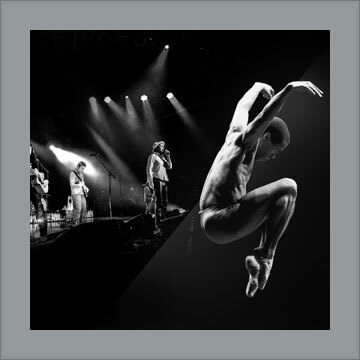 This signature series of neo-classical theatre ballet explores the ethos of popular contemporary musicians. The portrait ballet series has been hailed as an innovative way to connect new audiences to ballet. The company performs its full season in each of Alberta's two major cities, Calgary and Edmonton, and is currently focusing on new creations that attract both classical and contemporary fans. In 17/18, Alberta Ballet will offer audiences a new classical Cinderella, choreographed by Associate Artistic Director Christopher Anderson, a return of Grand-Maitre's Dangerous Liaisons and a much-anticipated portrait ballet, All of Us, inspired by the music of rock band The Tragically Hip. 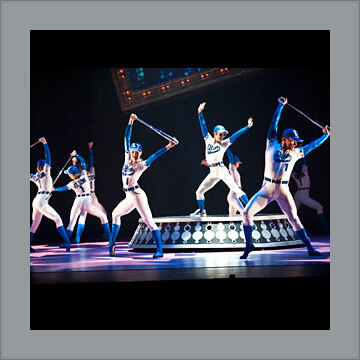 The undeniable joy of pop-rock meets the breathtaking athleticism of ballet in the sequined spectacle Love Lies Bleeding. Alberta Ballet's artistic director Jean Grand-Maître conjures a romping and visually spectacular tribute to the work of Sir Elton John and Bernie Taupin. Featuring 14 classic songs, this wild and whimsical piece explores the trials, victories, and sacrifices of achieving super stardom with an unforgettable story of rock ‘n' roll, drama, passion – and above all – love. Featuring the music of Canadian singer-songwriter Sarah McLachlan, Fumbling Towards Ecstasy traces the deeply spiritual odyssey of a woman's life from first romantic encounter to mature love. Inspired by and featuring the music of k.d. lang, this contemporary ballet showcases a love story between two women set on the Canadian prairies. This production represents an intimate collaboration between the artist, choreographer, and designers to create a heartfelt portrayal of the voice and the personality that has captivated audiences around the world for almost 30 years. Grand-Maître is at his best, choreographically speaking.The choreography…shimmers in beauty. The movement flows naturally from the music, capturing abstractly the spiritual yearning it often contains... Lavoie's lighting blends seamlessly with Larson's stunning animated projections. It was overwhelmingly beautiful to see my music transformed into a physical manifestation of the emotion... it was just really, really beautiful. It is easy to surrender to the ebbing sea of Alberta Ballet's dancers and Sarah McLachlan's music... the sets, lights and video beautifully combined. The many duets show the dancers and Grand-Maitre at their best... Larsen's wonderfully imaginative video projections compliments the ethos of McLachlan's songs... it's a journey we - judging by the enthusiastic applause - were all willing to take.